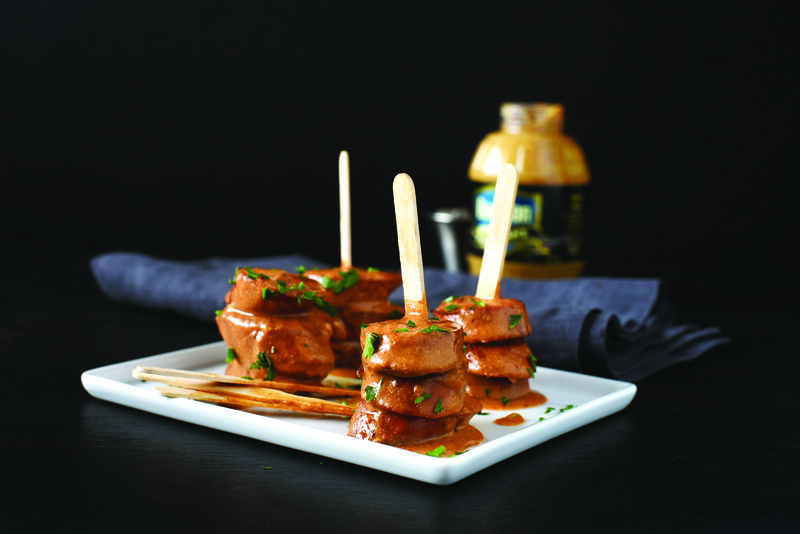 Bourbon Mustard and kielbasa sausage combine in a savory, tangy, easy appetizer. Mix the mustard, tomato sauce, garlic and parsley together in a slow cooker, then stir in kielbasa slices. Cover and cook (2-3 hours on high, 4-6 hours on low) stirring occasionally until heated through. To serve, turn slow cooker to warm setting and provide toothpicks for easy bites.